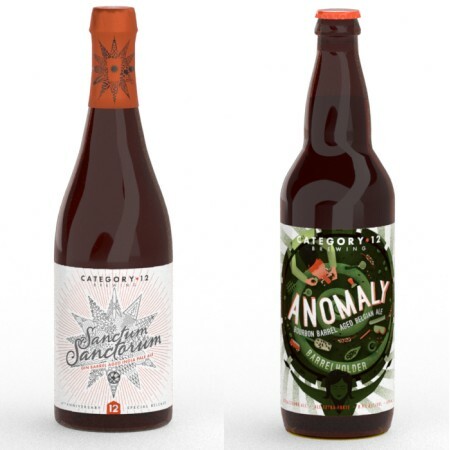 VICTORIA, BC – Category 12 Brewing has announced details of the next installment in the Elemental Series of experimental and innovative beers, as well as a new edition of a release from its Barrelholder program of strong barrel-aged beers. If you possess this bottle, your dedication to the raw magic of zymergy is apparent. Reward comes as your tastebuds transcend known realities to experience the nexus of wonder as botanical, gin-barrel goodness from Sheringham Distillery and Saccharomyces trois. beer come together. The most superlative creation our Dr., and team, could create is now at your own fingertips. Enjoy. Aged in American Oak bourbon barrels, an assertive bourbon character is tempered by notes of dark fruit, sweet vanilla, and coffee. Hints of candied sugar and clove peek through toasted malts in this lovingly blended barrelholder release. Both beers will be released on Saturday December 8th as part of celebrations to mark the 4th anniversary of Category 12. For more details and to reserve tickets to the party, see the Eventbrite listing.